Book a Walthamstow hostel now from only £24.50 per person! The East London neighbourhood of Walthamstow is conveniently located just outside Central London and offers cheaper living costs than some other areas of London. Therefore, you can find some great rates at London hostels in Walthamstow. There are plenty of things to see and do in Walthamstow, from shopping in the East End market to testing out the many cafes, pubs and restaurants along the high street. If you are after a more adventurous shopping trip, you can reach Oxford Circus, home to some of the UK's largest flagship stores such as Topshop, in just 20 minutes direct on the Victoria Line from Walthamstow Central. You can also visit Central London to see its sights, including the London Eye and Houses of Parliament, or head off to see a West End show. 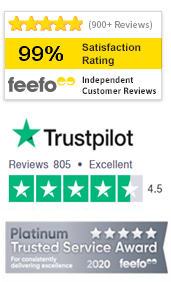 Finding cheap London hostels in Walthamstow is easy, so just make sure that you check out TravelStay's independent reviews from past guests, and leave your own comments once you've visited. Other London hostels in Walthamstow include Commongate Hotel, a slightly larger hostel of 30 rooms, also situated close to the tube station. Prices here start at £33.33 per night for a recently-refurbished, no frills stay. Journeys Arsenal is a modern London budget hostel near Walthamstow. With hot showers, WiFi and TV access, a bar and 24-hour security, it has everything you need for a stay in the capital. En-suite rooms are available and breakfast is included in the price. Newly developed Clink Hostel, which occupies a totally renovated 200-year-old courthouse, is a money saving hostel near Walthamstow. This stylish, modern London budget hostel is packed with facilities like a bar, internet/TV courtroom room and a self-catering kitchen for you to enjoy. Stay at the recently refurbished Clink 261 and take advantage of a great central location, close to the British Museum and Covent Garden. Kings Cross St Pancras Tube Station is also close to this hostel near Walthamstow. Facilities include a TV lounge with huge plasma screen TV and a kitchen! If you’re travelling on the Eurostar, this money saving London hostel near Walthamstow is ideally located close by. The British Museum and British Library are also within walking distance. Facilities at the hostel include a TV lounge and private bathrooms. You have to stay at Hostel 639 if you're looking for a facility packed London budget hostel near Walthamstow with beds or private rooms at amazing prices. You'll find a bar, restaurant, coffee shop, call shop and an internet cafe here. As Kensal Green Tube Station is opposite you can explore London with ease. If you want to spend a week or more exploring London then take the cost effective option and book a bed in one of the dorms available this hostel near Walthamstow. This London budget hostel offers a free pick up service from the tube station, free internet access, a TV lounge, fully equipped shared kitchens, a coin operated launderette, and easy access to Central London!